Candace Czarny “Award Winning” Interior Designer and Feng Shui Expert is the author of a new Series of books in her Feng Shui Library called “20 Minute Feng Shui”. This library consists of 8 volumes of Feng Shui E-Books and 4 volumes of DVD’s on “Interior Design & Feng Shui – Building Blocks for a Beautiful Life”. Her passion is “helping people create environments that empower their lives”. Candace Czarny is the president of Wind and Water, a design and training company with more than 30 years’ experience in interior and “Green” design, facilities and project management and Feng Shui. Candace received her Degree in Interior Design from Virginia Polytechnic Institute and State University (VA Tech) with a minor in Marketing. She is a NCIDQ Certified Interior Designer. She is also a LEED AP (Leadership in Energy and Environmental Design Accredited Professional) and CFM (Certified Family Manager). She is responsible for the Design of the First “Gold” LEED Certified building in the State of Arizona. She has also received the Design in Excellence Award from the Arizona chapter of ASID and the Best of the Best Award in Sedona. Candace began her career in the corporate world with a fortune 500 company as a designer and eventually left the corporate world after a successful career as a facility and real estate asset manager. Her success was in developing a long term strategic plan that saved the company over 65 mil dollars. Candace has always had a passion for creating beautiful environments so it was a natural thing for her to be involved with real estate investment. She spent 10 years investing and renovating residential real estate before it was called “flipping houses”. Candace apprenticed with Feng Shui Master Cuneo for 5 years. Her studies consisted of field work and daily training in the oral tradition. Her training comes from a global perspective of esoteric sciences and incorporates: Landform and Black Sect Feng Shui, Hawaiian Huna, European Geomancy, Native American and South American Energy Sciences. Candace has also succeed in selling real estate in Arizona and has honed her marketing skills developing a successful online business. 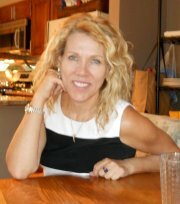 She teaches practical, accurate, in-depth Feng Shui principles with creative and modern applications. Her clients have testified of dramatic results using Candace’s Feng Shui advice from romance to business. Candace is available for, seminars, workshops, private Interior Design and Feng Shui consultations for residential and commercial spaces and Life Purpose Readings. You may reach her by calling toll free: 928 288 2061 or email her at: admin at ArtofPlacement.com. I give Wind &amp; Water permission to send me email about new products, services and special offers.